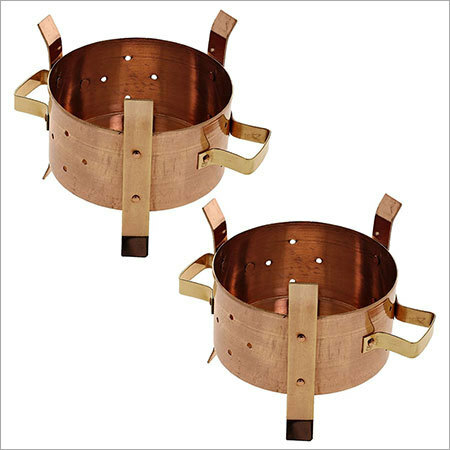 This plain copper pot fuel burner warming stand is one of the essential things you need when you are throwing a dinner party. To serve your guests warm food, you can not re heat the food a several times. A set of warming set with copper pot or handis will do the needful. You just need to keep the burning coal pieces inside the warming stand and place the handi filled with food on the top. It will keep the food warm for a longer haul.